You can also see in the top right it lists that the mod is licensed under the MIT License, which is an extremely permissive license basically saying you can do anything you want with it. Watch for that if you don't want to have to wait for the developer to give you permission. Could you make it so my toast doesn't get burned? Finally, I find this a solution for spamming VanillaFix problem warnings. Just make them transparent and you will have a clear view. Maybe? Can't really see that functioning properly... Every vanilla toast category already has a config bool, and I don't know of any mods adding their own so far. Right. Fair enough. I think I may allow adding class names for the blacklist. 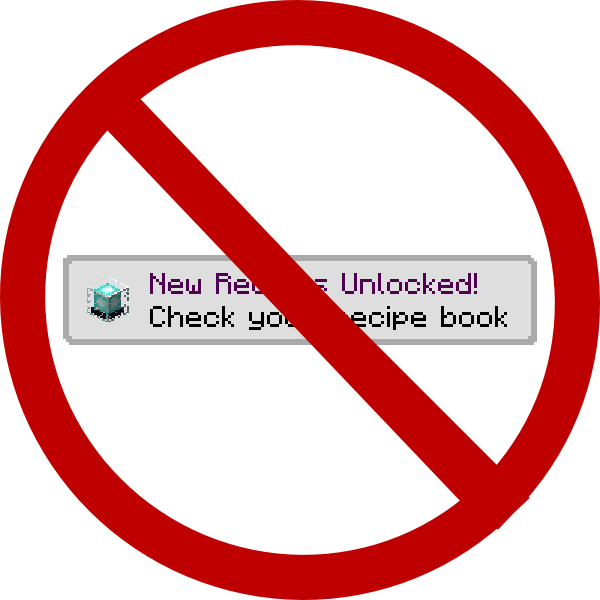 Until I get around to that, enabling "block all modded" should remove it. Does this work on all servers or just servers that have the mod? The mod is client side only, so all servers. Is there any possibility that you will add a toast timer function that lets you change how long a toast is visible on the screen? I would really like to have toasts stay on the screen for longer than they currently do. This project is for toasts. You should add a less intrusive version as well. Something like an icon that pops up in the corner with just an icon but can be expanded. Call it simplified, minimalistic, or hell... call them crumbs to fit with the toast theme.